Nintendo of Europe has announced all exclusive pre-order bonuses for Super Smash Bros. Ultimate in Spain. Depending on where you reserve a copy of Super Smash Bros. 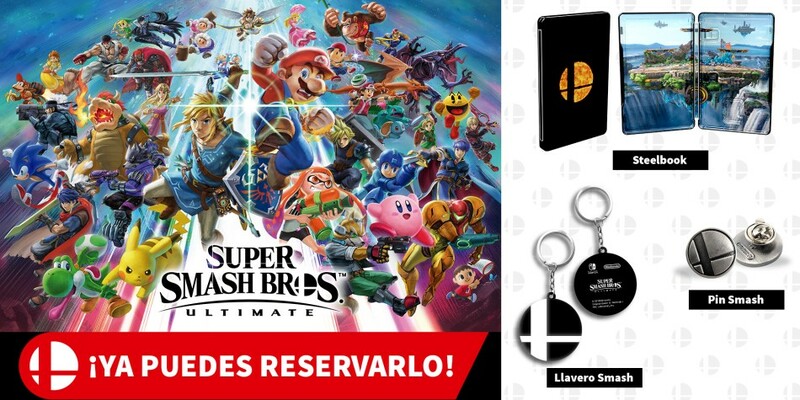 Ultimate, you’ll receive a Steelbook, pin, or keychain. See below for the list of retailers that offer these exclusive bonuses.